PhD stands for “Doctor of Philosophy”. These programs are research degrees, i.e., a major component of them is your own research, presented in a dissertation or thesis. But they also usually contain a taught element. This taught component may comprise higher degree courses in the subject area of your chosen research topic plus research methods courses. The latter provide you with the research techniques and skills that you need to complete your PhD research – which are also very useful skills for your work. Another part of this taught component is often the completion of a literature review of the area of your research – also essential for your PhD. 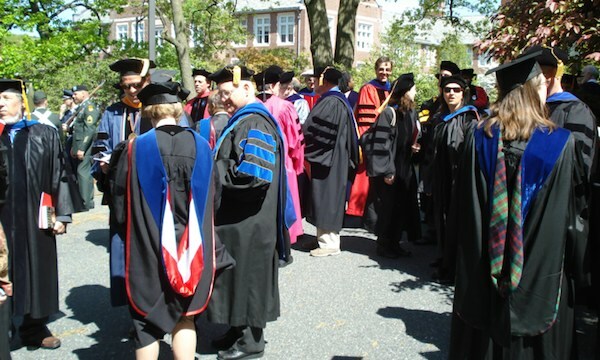 It is becoming increasingly popular for people to take doctoral programs that lead to a professional qualification such as Doctor of Education (EdD), Doctor of Psychology (PsyD), Doctor of Business Administration (DBA), Doctor of Computer Science (DCS), Doctor of Engineering (D.Eng), or Doctor of Public Health (DPH). These have the same status as PhDs – though sometimes the latter are seen as more “theoretical”. This page helps students who are looking for PhD programs – whether online or on campus – and provides some advice on studying a PhD. Your thesis should make a distinct contribution to the knowledge of the subject and demonstrate originality, e.g., by including new facts, theories or critical analyses. To help you conduct your research and write your thesis, you will be allocated a supervisor, or in some cases, two or three supervisors. Their role is not to do the research for you, or to do the writing for you. Instead, they provide constructive criticism on your proposals. After you have completed and submitted your thesis, you will be asked to “defend it” in front of a panel of examiners. This means the examiners will have read your thesis and will ask you questions about it. So the final decision is not just based on what you have written – it is also based on your ability to demonstrate that you actually know what you have written and can argue for the original ideas you have expressed. Taking a PhD involves making a considerable personal and financial investment. Thus it is very important that you are genuinely interested in the thesis topic that you choose. You can browse topics and programs at the foot of the page. There really isn’t any limit to the subjects or areas in which you can study a PhD. But you may have to travel or move to a campus to get supervision for your particular thesis topic. You can browse schools and programs at the foot of the page. The advantages of studying on campus include being surrounded by others also conducting research. Having such people around you helps to motivate and stimulate you. You also benefit from having regular access to your supervisor. It is possible to take a wide variety of PhD programs on campus. But distance learning also makes it possible for learners to take PhDs from a distance education institution anywhere in the world. Of course, there may be a residential requirement, usually at the beginning and towards the end of an online PhD, but it is undoubtedly more convenient and cheaper to do it online than on-campus. But it is a long, hard and often lonely road. And you need the support of an understanding family and friends. You can find further details of some accredited PhD programs (e.g., nursing, psychology, education) by clicking the links in the navigation bar. You can also browse more schools and programs below.